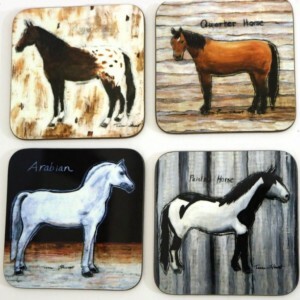 Horse coasters make great horse gifts for horse lovers. Wood coasters are hardboard. 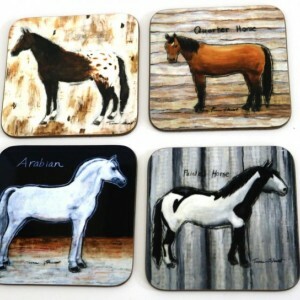 They are made from prints of original horse art by Teena Stewart. 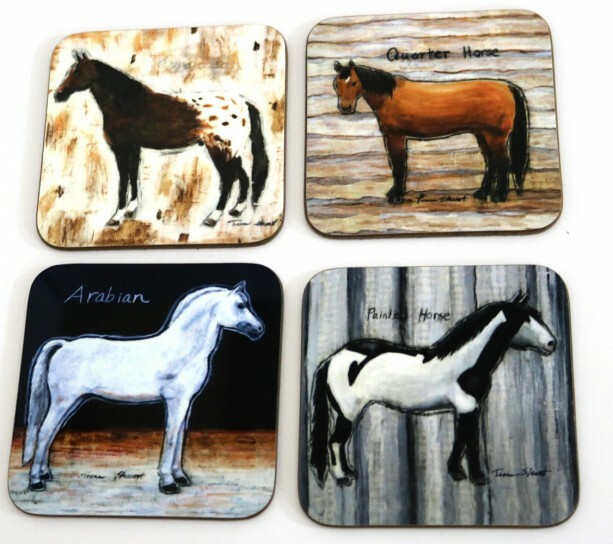 Horses in this set include an Arabian, a Quarter Horse, a Paint Horse, and an Appaloosa Each coaster is approximately 1/8” thick is 3.5" square. 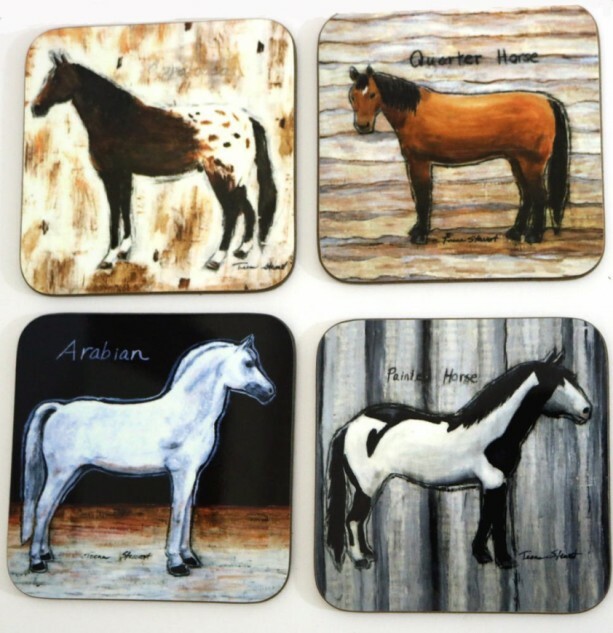 Use as a housewarming gift Gift for horse lovers Great pet keepsake commemorating a horse’s death Coasters protect furniture from unsightly water marks and feature neutral colors that compliment any room. SHIPS FROM HICKORY. NC. Ship time does not include holidays and weekends. ORDERING AND SHIPPING FOR CHRISTMAS: We cannot guarantee orders will arrive in time for Christmas if you order later than December 15. RUSH ORDERS: Express shipping is available upon request but often costs nearly twice to triple or more of the standard shipping. It can far exceed the cost of the handmade item. Cost for express shipping depends on the size, weight, and location being shipped to. If you still want it express mailed, email us with the location prior to ordering to see if we can get it to you in time.